Are you ready for a Fashion Face-Off Challenge? It’s time for a trend show-down! From crop tops to florals, the top trends for spring have officially sprung. No matter which fashion craze you crave, LuLu*s wants to know in their Fashion Face-Off Instagram Contest! 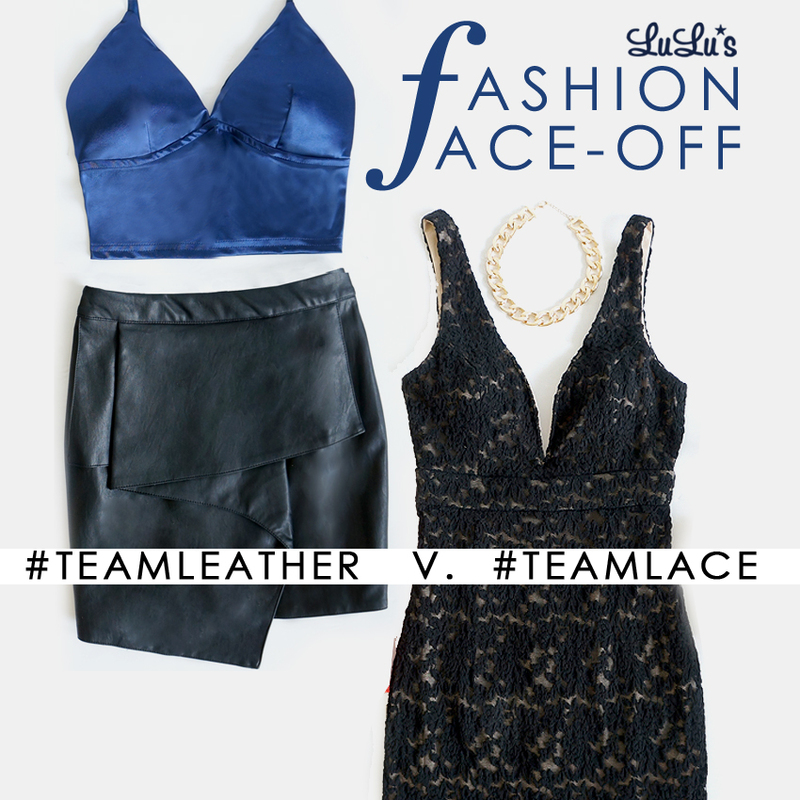 This weeks’ face-off is between #teamleather and #teamlace! Enter via Instagram for a chance to be featured and score a $500 gift card to LuLu*s! 2. Choose the trend you wanna take on! 3. Upload your original photo of the trend on Instagram with the hashtag #lulusfashionfaceoff as well as your team’s hashtag. Remember, your profile must be public to be entered! 4. Check back every Monday for a new chance to WIN! How easy is that? I mentioned the fashion face-off here too. This week I’m #teamlace for sure. Let’s do this! Follow me on instagram (@winniethefashionista) to check out my outfit.